The first translated version of the U.S. Business Owners Handbook edited by many Chinese merchant groups will be issued recently in the U.S. and in China. 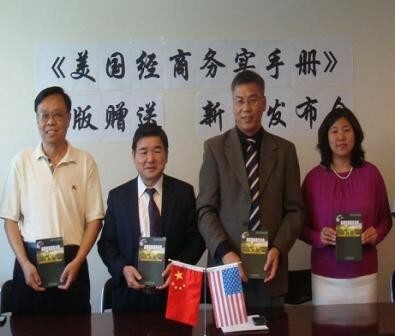 The New York State congresswoman Grace Meng suggested that this handbook will help Chinese merchants improve their professional knowledge on commerce and increase their competitive strength. Many groups including the U.S. Zhejiang Chamber of Commerce of America (ZCCA), Small Business Administration (SBA) and American Chinese Import & Export Association etc. edited the handbook. More books like American Investment Immigration Handbook and American Real Estate Investment Handbook are planned to issue. If you need the US Business Owners Handbook, please come: 136-20 38th Ave. Suite 10 i, Flushing, NY 11354. If you are from out of New York State, please mail your check to Zhejiang Chamber of Commerce of America. The total fee is $22 including shipping fee.